Haji Hassan, a leading diversified construction-focused group, will be strategic sponsors for Bahrain’s largest construction trade event. 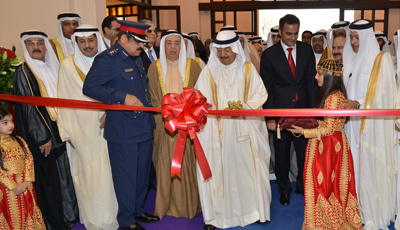 Gulf Construction Expo, the largest showcase for building and construction sector in the Northern Gulf, takes place from April 23 to 25 at the Bahrain International Exhibition and Convention Centre under the patronage of HRH Prime Minister Prince Khalifa bin Salman Al Khalifa. Amongst the group’s companies represented will be the Arabian Parts Company, Bahrain Asphalt, Arabian Chemical Industries (Isola), Haji Hasan Ready-mix, Bahrain Pipes, Bahrain Precast Concrete, Bahrain Blocks and Haji Hassan Reinforcement. Each entity specializes in essential resources for the construction sector such as building materials, precast concrete, ready-mix concrete, plastic and sewage pipes, construction chemicals, concrete blocks, steel reinforcement, rubber and mechanical engineering spare parts. The Group has an impressive track record of delivery on high-profile construction projects in Bahrain. 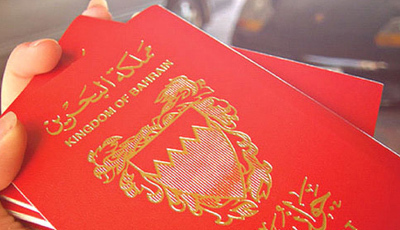 These include the Bin Faqeeh Breaker Tower; Awali Mosque, Shaikh Isa Library; Sitra Causeway; Durrat Al Bahrain; the North Manama Causeway; runway upgrades and new apron stands at Bahrain International Airport, Bahrain International Circuit, Muharraq sewage treatment plant, Ritz-Carlton Hotel, Al A’ali shopping complex, the Sofitel Bahrain luxury resort hotel and many more. Jubran Abdulrahman, the Managing Director of HCE, commenting on Haji Hassan’s role as Strategic Sponsor of the Expo said: ” Haji Hassan has for over 60 years been a leader and pioneer in the region in the building materials sector. We are proud to have the support of Bahraini company that has been so instrumental in the growth and development of construction projects in the GCC. Gulf Construction Expo also carries the organisational support of Tamkeen alongside sector sponsors Universal Rolling for the Metal and Steel sector and Amna Politerm Blu covering Green Technology.